The coffee table is a must-have piece of furniture that makes the living room feel complete. It’s one of the basic pieces of furniture that we all integrate in our homes but this doesn’t mean that the coffee table has to be perceived as uninteresting. It is, in fact, a common focal point for the living room and there are plenty of unique and spectacular coffee table designs that would stand out in nay décor. Many of them are modern and impress either with their serene simplicity or with the complexity of their design. We have selected 12 of the most impressive coffee table designs you could choose from for a modern or contemporary space. 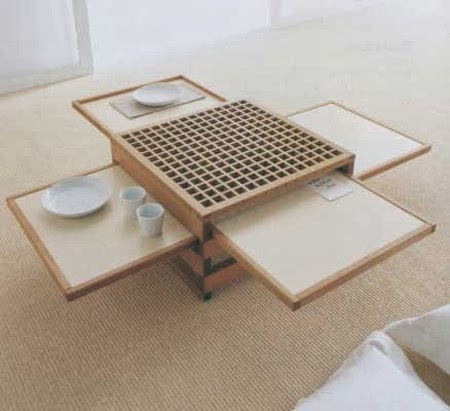 The Tetra table was designed by Bernard Vuarnesson. As you might have guessed from its name, it’s a four-in-one piece of furniture. The table features four pull-out shelves that can come in handy whenever you need some more space while working. It’s a versatile table that can be used for a variety of purposes, including writing and dining. The Ague coffee table is the creation of Brazilian designer Domingos Tótora. It also has a very simple design and it also features a serene look. 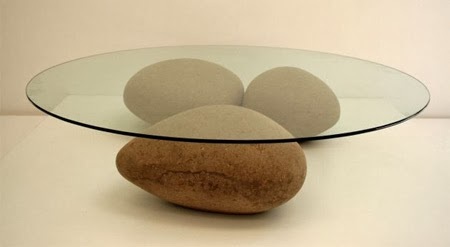 The base of the table is composed of three large rocks with smooth surfaces and oval forms. Actually, they’re not real rocks but they are pieces made of cardboard. Even so, they provide great support for the top. The glass top has a round shape and is transparent, thus allowing you to see through and to admire the beautiful base. The shape is a very important element that contributes to the uniqueness of a certain piece of furniture. In some cases, it’s the detail that makes it stand out. 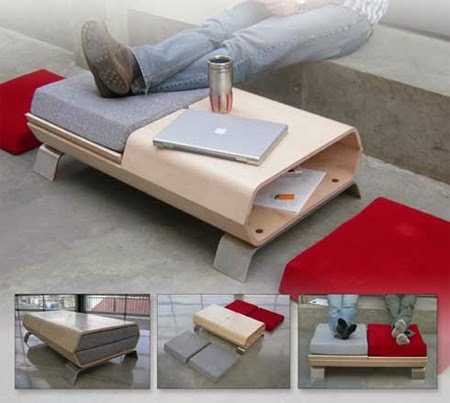 One good example would be this coffee table. It was designed by Pedro Gomes for the Caesar Stone Design Competition. It has an unusual shape that gives it a unique and exotic look. But that’s not all. The design is also functional and it feature several storage compartments. The Concerto Table, as its name suggests, is more than just a simple table. 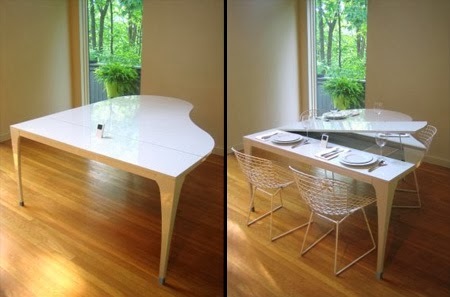 Its design was inspired by the piano and the result was a multipurpose piece of furniture. Well, you can’t actually use it as a piano but you can play music on it. The table has an iPod dock and speakers so you can listen to music during dinner or any other time you want. Modern table might seem to focus just on looks but they are actually very versatile, flexible and functional. A good example would be this particular model. It seems like just another simple coffee table. However, it’s more than it lets you see. The hexagonal structure with rounded corners was designed by Stephan Wootton and it can become a great piece to stretch your legs on when you get home thanks to the inserts it hides inside. You know how people always say that we’ve gone too far from nature, that it is no longer a part of our lives and our homes? Well, this table proves just the opposite. 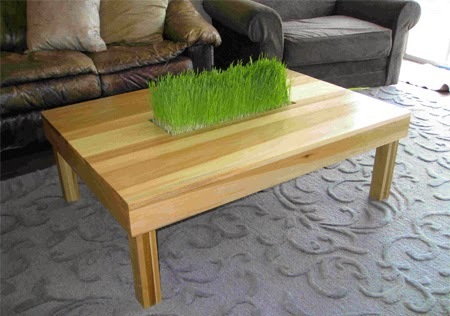 This coffee table is made of wood and has a compartment in the center where real grass grows. It’s a very nice way of reintroducing nature into our homes. 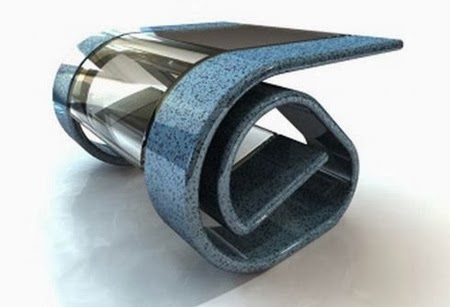 And since we were talking about the ripple effect, take a look at this coffee table. 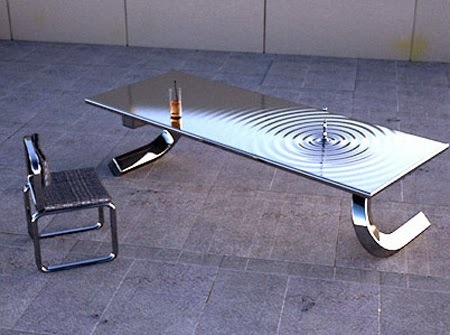 It’s called the Ripple table and it has an interactive design. 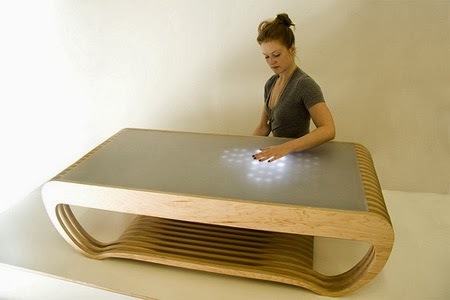 It’s an LED table that responds to your movements and lights up in the places you touch it. Its design is simple in order to highlight the unique features that have been integrated in this piece of furniture. This is a dining table, another crucial piece of furniture in any home. Most dining tables feature the classical design but some are unique. It’s the case of this intriguing piece. 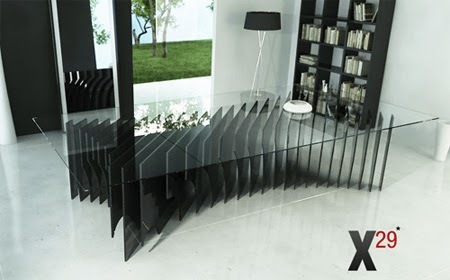 Designed by Com.a.ar, the table features a simple but also very sleek and stylish look. It has a rectangular top with a glossy finish and the base is a central pillar. Some tables have a more artistic design. For example, this one was created by artist Lee J Rowland and it’s been inspired by the ripple effect. Recreating the effect and including it in the design of this amazing piece of furniture was a real challenge. After a long and difficult CNC 3D machining process followed by lap polishing, the coffee table was finally created. This is the Table table. It was designed by Toshinori Kamiya of the Kamiya Designs and it’s been named like that because of its design. 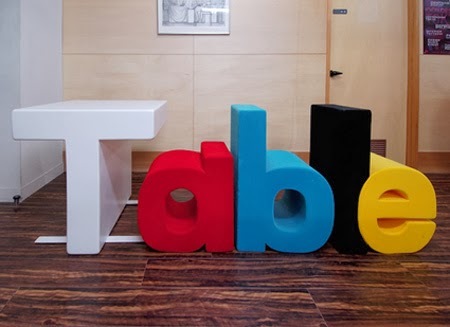 The base of the table actually spells the word “table. It’s actually just the T that can be used as an actual table, the rest of the tables being just for décor. It’s a very interesting piece but it’s not exactly practical in small homes as it occupies a lot of space. Designed by Decode London, this coffee table will surely make a big impression in your home. It impresses with its simple yet very innovative design. 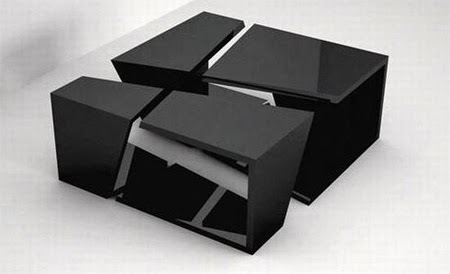 The main shape of the table is simple but the way it’s been divided into four asymmetrical pieces brings a touch of uniqueness to this design. It’s a sculptural piece with an eye-catching look.